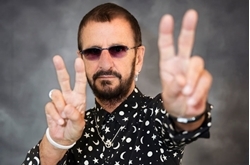 Ringo Starr Inks Worldwide Publishing Deal With BMG . Beatles Radio: The Beatles, Solos, Covers, Birthdays, News The Fab 4 and More! Ringo Starr has signed an exclusive worldwide publishing deal with BMG, the company announced on Tuesday (April 10). The agreement covers Starr's Beatles and solo catalog, spanning nearly 50 years, as well as future compositions. "What Goes On" from Rubber Soul, "Flying" from Magical Mystery Tour, "Don't Pass Me By" from The White Album, "Octopus's Garden" from Abbey Road and "Dig It" and "Maggie Mae" from Let It Be, as well as other rarities. As a solo artist, Starr has released 19 studio albums, spanning from 1970's Sentimental Journey to last year's Give More Love. His 1973 album, Ringo, peaked and No. 2 on the Billboard 200 chart and is RIAA certified Platinum, with singles "Photograph" and "You're Sixteen" topping the Hot 100 chart.